Did Kavanaugh Kill The Blue Wave? Our long national nightmare is over. Democrats in the Senate, media, and at protests were unable to stop Kavanaugh, despite throwing everything and the kitchen sink at him. Some have suggested that this catastrophe will energize Democrats in the mid-terms. They’re probably right. 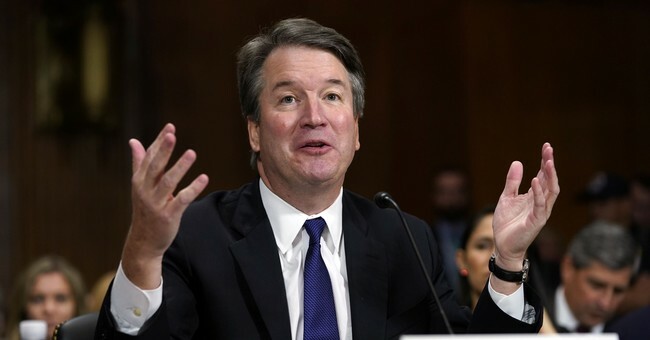 From the perspective of many on the left, Kavanaugh is the personification of the patriarchy; an entitled, belligerent, sexual-assaulting white frat-boy who thinks he’s entitled to positions of power -- just so he can control women’s bodies. If you were on the left, wouldn’t his confirmation make you more likely to vote? The problem is that Republicans, Trump-supporting or otherwise, are even more energized by the Kavanaugh saga than their Democratic opponents are. On the political betting market PredictIt, Republicans now have an 85% chance of keeping the Senate. Last week, before the Kavanaugh vote, they were at 68%. As for the House, Republicans shot up from 34% to 40% after the confirmation. This is big news, especially when you consider how flat these markets have been historically. For months, those numbers have barely moved more than a few percentage points for any meaningful amount of time. But now Republicans are heavily favored to keep the Senate and approaching a toss-up in the House. Not to throw cold water on the red wave, but I do think some people are overreacting to the confirmation. Yes, this whole endeavor has been good for Republicans, but we are still a month away from the mid-terms, and in the insane news cycle that defines modern politics, it’s hard to imagine Republicans maintaining this level of enthusiasm for an entire month. Still, the Kavanaugh boost is real and should not be ignored. In fact, it’s now entirely within the realm of possibility for Republicans to gain seats in the Senate. All credit goes to Senators Harris, Booker, and of course Feinstein. Without their help, Republicans would be staring down the barrel of a likely defeat in 2018.